We're very pleased to announce that Muse will be playing live across the UK and Europe this autumn. Tickets go on general sale on Thursday 14th June. Full dates are listed below. For more information on each date, including ticket prices, on sale times and disabled customer information check out the individual dates in the TOUR DATES section. In order to make sure that muse.mu members get the first and fairest access to tickets for these dates we have launched a ticket application system for a limited number of the standing tickets for each date. The application process is open from now until 18:00 BST on Sunday 10th June. 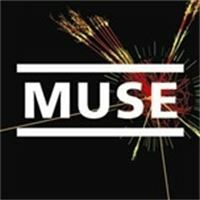 During this time muse.mu members will be able to apply for a maximum of four standing tickets for one show of their choice on the tour. THIS IS NOT A FIRST COME FIRST SERVED PROCESS. When the application window closes, Muse Members will be verified, duplicate submissions will be removed and successful applicants will be chosen at random and allocated their requested tickets by Wednesday 13th June. You will need to enter your payment details when you submit your application in order for your card to be pre-authorised. If you are successful then money will be taken from your card and tickets allocated by Wednesday 13th June. If you are not allocated tickets then no money will be taken. Please remember, this process is NOT FIRST COME FIRST SERVED! You have until 18:00 on Sunday 10th June to enter your application.